New butterfly for Nova Scotia! 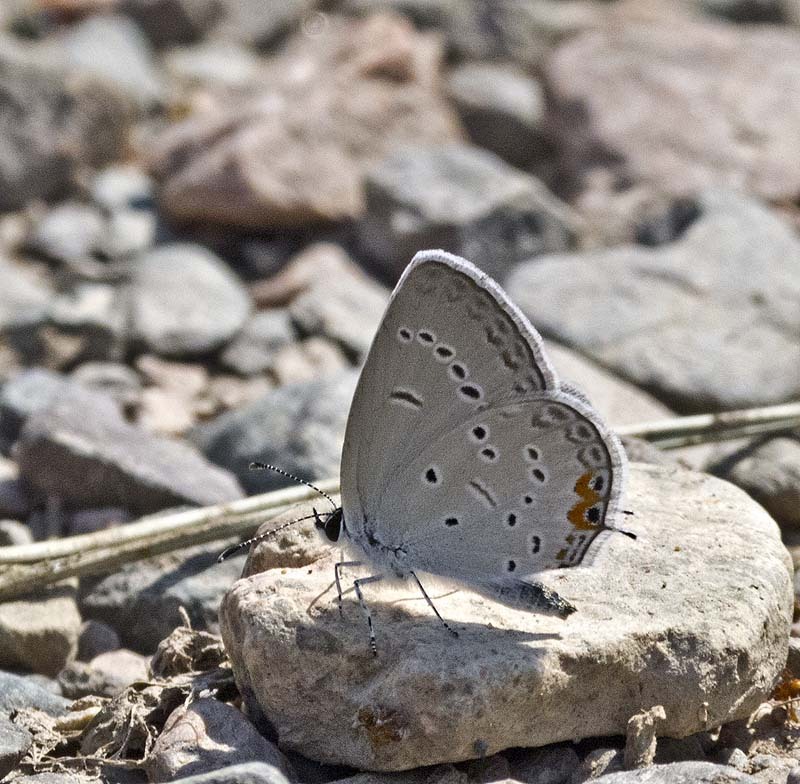 On August 21, Phil Schappert photographed the first records of Eastern Tailed-Blue for Nova Scotia. He saw the species at three locations on East Mount Folly Road, near Debert. At least three individuals were present at one of the locations, and some appeared very fresh, strongly suggesting a colony exists at the location. Eastern Tailed-Blue photographed by Phil Schappert on August 21 near Debert, NS. The day after Phil made his discovery, Les McClair collected the first ever specimen of Eastern Tailed-Blue for Nova Scotia near Windsor. So it would appear there has been something of an irruption of this species into Nova Scotia this year. Prior to the Atlas near all records for this species were from southwest New Brunswick, specifically the area west of the Saint John River. Last year several individuals were found in central New Brunswick, as well as near Alma and Blackville. Now is the time to get out to see if you can find your own Eastern Tailed-Blue. Given Phil and Les’ discoveries it would seem the species is possible anywhere in southern New Brunswick, and in at least the northern half of mainland Nova Scotia. A PEI record would not be out the question either. Eastern Tailed-Blue has been recorded as late as September 4th in New Brunswick. In Maine there are records well into October. Peter Payzant has put together a profile of the species in Nova Scotia, check it out at http://novascotiabutterflies.ca/ss.cgi?s=etbl.